Whether it's a shot of your pet, your friends, or a beautiful spot from your latest vacation, you just take a photo in Portrait mode using your compatible dual-lens smartphone, then share as a 3D photo on Facebook where you can scroll, pan and tilt to see the photo in realistic 3D--like you're looking through a window. Nice try Facebook. I'm not giving your algorithms even more information to make facial recognition easier for you to perform. Too bad, I already deleted Facebook the social engineering app from my life awhile ago. You’re as awful as Google. Go to hell! Nifty idea, too bad there isn't much that'll get me to re-download their bloated app back on to my iPhone. 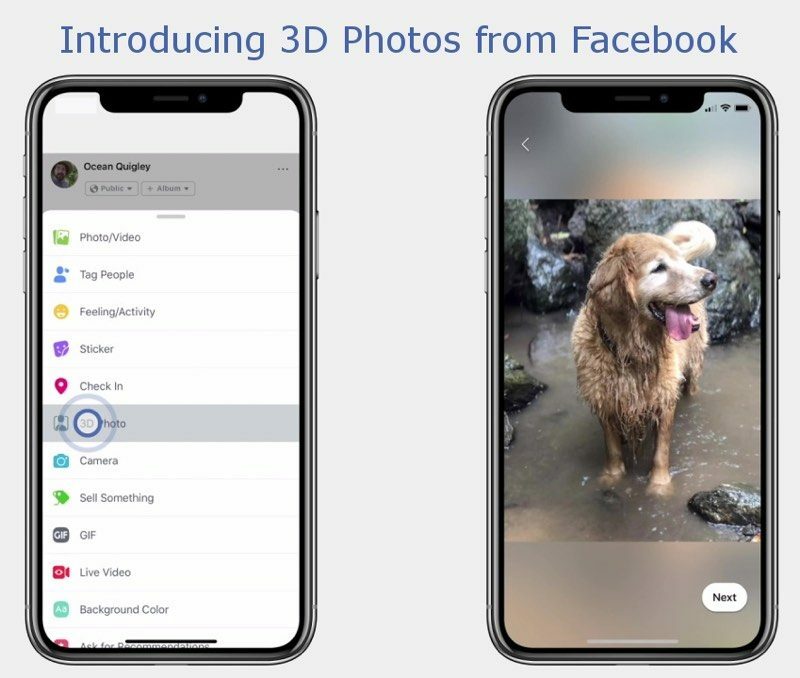 Oh crap, now FaceBook has many people's 3D data. You just know there's a whole team of jerks over there working tirelessly at using this data to map people's houses and the faces of everyone they know. Soo it mimics what Lytro cameras were able to achieve years ago? Sure, and you don't need to spend a couple hundred dollars on a separate Lytro camera and it's much more conveniently on a device all of us have and carry with us all the time, making it much more useful. I don't see it either yet. I've done this many many many times and it does not show up for me. Must be a gradual rollout for users...as I do not see the 3D Photo option in my app.